We caught up with the Parisian singer/producer in the lead up to her performance at MoMA PS1 this Saturday. We've been Lafawndah fans for a while now, which makes us all the more excited to catch her playing MoMA PS1's celebrated Warm Up stage this coming week. The GEN F alum's purity of voice and knack for singular collaborations have distinguished the Parisian singer/producer and elevated her solo work, as well as her projects with the likes of Brooklyn electronic duo Teengirl Fantasy and Night Slugs' co-founder L-Vis 1990. 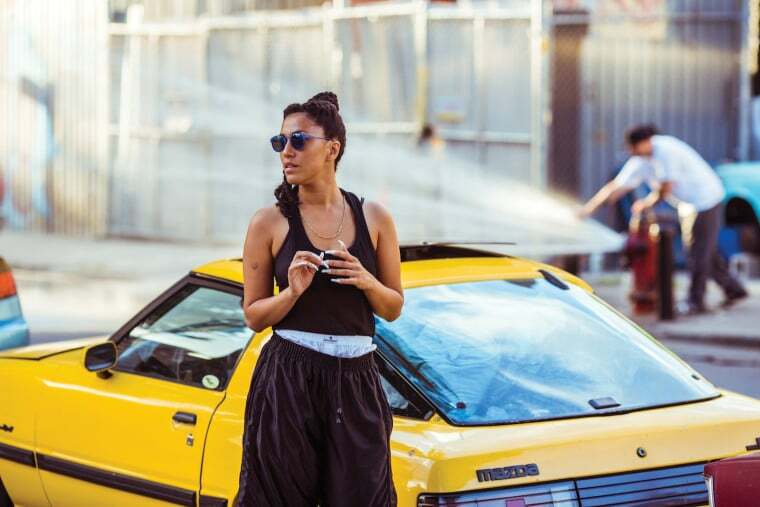 We caught up with Lafawndah to find out what the rest of 2015 holds for her, plus scroll down for Saturday's full Warm Up line-up. Between Warm Up and Step & Repeat you must be so busy. How are you spending your time when you're not performing? LAFAWNDAH: Making music, listening to music, plotting new adventures with my friends, drinking all sorts of teas. What have you been working on? And when will we get to hear it? I finished an EP that will be announced shortly and I started my first album. So you will get new music very soon. Your collaborations have always been so on point—do you feel like they just fall into place? How is your collaborative process different than your solo studio process? They do fall into place. So far, I've only been making music with very close friends/family—collaborating is just an extension of how we relate. I'm happy you happen to think that they are on point. The solo process is mainly the writing and the singing. I swing between both processes, they complement each other and feed off each other. It's not one or another; they are tightly imbricated. I don't like writing lyrics or a melody with other people—except Emily King so far, whom I made the first EP with—and I don't like producing alone so solo and collaborative are both necessary for the birth of a song. What makes you most excited about playing Warm Up? Is this your first time playing? Warm Up is an event I've been going to every summer since a very long time, way before I started making music. And I always looked up to it. So being on stage this Saturday is gonna be a pretty full-circle situation. I'm excited about that. How does summer affect your productivity? How does it affect your down time? I don't really have the "I can't work cause it's sunny outside" syndrome. It makes me write less moody songs...maybe? There hasn't been much down time in the last couple of years so I don't remember. How are you spending the rest of 2015? Working on my dream album with all my dream collaborators.